Any Game of Thrones fan has probably jumped with excitement at that title, but this really is just about how to style your winter elopement wedding (stick around, we’ve got lots of great ideas for you…). Winter is coming, though, and you’re probably starting to think about how to style your winter wedding. Winter elopements are fabulous, and there is so much you can do. Okay, so it might not be 17 degrees outside (an average ‘british summer’ temperature…) but we’ve got the fire & the food, and you’ve got the l.o.v.e. There’s something instantly quiet and calm about these images. It’s a different kind of beautiful, but it absolutely carries the same weight. Can you tell I’m just a little bit excited for the winter months…? (winter is coming). During the darker months, creating ambiance is so easy, and with Christmas around the corner sometimes a cosy log fire is all you need. There is always room for styling, though. Candles are a must for winter-styling, and lots of them at that. On the cake table, the wedding breakfast table, in lanterns on the floor… Everywhere! And the open log fire is a perfect finishing touch to however you decide to style the room. Oh, and not forgetting the christmas tree for all December weddings! (of course). Colour schemes for this time of year can vary hugely. You might want to go down the ruby-red and pine-green route; instantly creating a christmas vibe, or perhaps silvers, blues, and whites; wintery goodness, evoking thoughts of frost and snow. A bit of sparkle is always popular for this time of year, and even neutral & woodland tones can work. Or perhaps a mixture of everything! 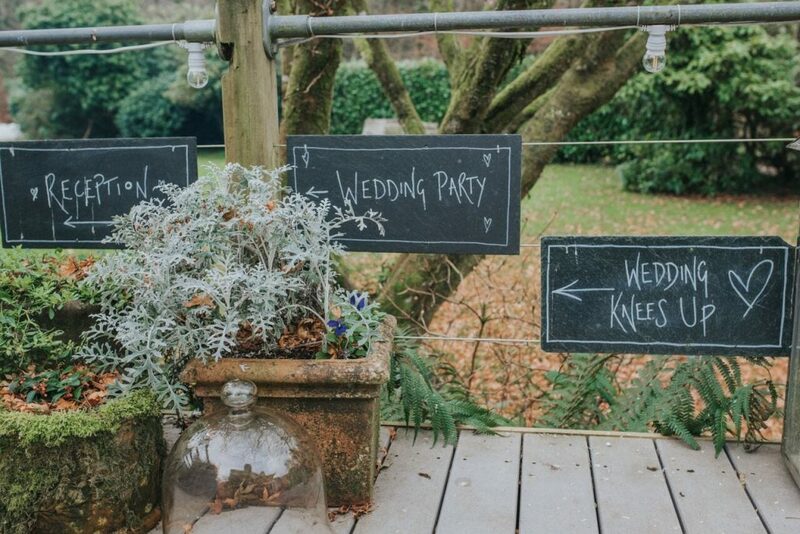 However you decide to style your elopement wedding, we’re here to help. Check out our ‘winter-elopement’ pinterest board for more ideas. Looking for autumn styling? Take a look at our autumn fever blog post!